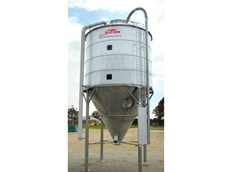 Suitable for emptying all types of mash. 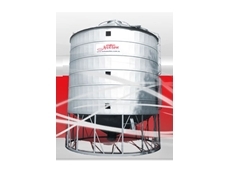 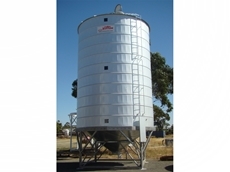 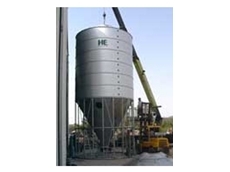 Flat Pack Silos Australia manufacture and sales a range of durable and strong storage silos to the agricultural sector including the 50 Tonne Mobile Field Bin Silo. 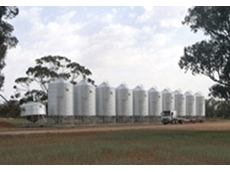 The Flat Pack Silos were created by Parker Silos. 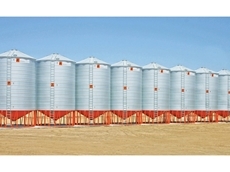 31/10/12 - Grain pests often continue to breed inside grain silos long after grain has been removed, as they thrive on grain residue or in old, leftover grain. 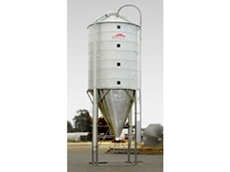 30/10/12 - Available in many sizes ranging from 8 tonnes to 115 tonnes the Sherwell Silo from Ahrens is transportable and designed with a low level or steeper cone. 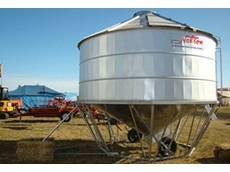 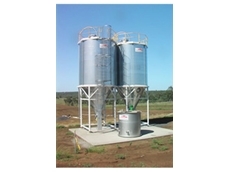 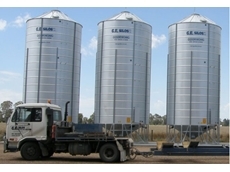 10/03/11 - The Titan flat bottom silos are now available in sizes ideal for use on farms. 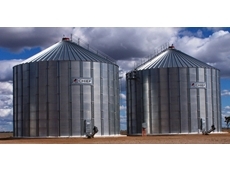 03/07/08 - Allied Grain Systems offers grain storage solutions through silos. 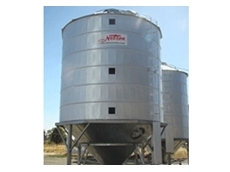 Allied Grain Systems also provides conveyor systems and mobile augers.